Keyword research is a process that is used by PPC, content and SEO experts to assist in revealing keywords that are commonly used or searched by people for them to maximize on the efficiency of their web content. When it comes to developing content that will be of interest to your audience, will assist a great deal to get the content. When you make use of your keywords, you will want to make use of them in the most natural way possible. Try to get them to headlines, subheadings and the first paragraph of your content. 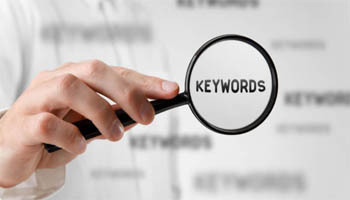 How you should choose your keywords? The first thing you need to do is go for a keyword that you think your ideal visitors will likely search for and use them and hope that in about four to one year they will be good enough to bring you good traffic. There are other ways which are smarter and this is to use tool that will make it easy for you. Effective keyword research will begin with Google and this is the reason we recommend their keyword planner tool. The keyword planner will give you access to a huge collection of campaigns with plenty of information on potential keywords and ideas. The first step will be to search for words and phrases related to your services or products. With this tool you are able to compare trends, and this will assist in narrowing down your keyword list. With the tool you are able to perform two amazing activities and these; know search terms that are currently trending and the terms that have gained popularity over time. This tool is best used as an alternative to Google Keyword Planner and similar tools. But it is best known for its ability to assist in formation of long tail keywords. This tool will assist you form long tail keywords when you only have core keywords or key phrases. With your keywords and long tail keywords, you will be able to turn them to titles with answer the public tool. When you run dry of topics, this tool will come in handy and get you topics that will answer questions your audience might have.